The 2nd Asian Film Critics Assembly - AFCA (13-14.01.2019) in the frame of the 17th Dhaka International Film Festival - DIFF, was be held in association with the International Film Critics Association of Bangladesh - IFCAB. FIPRESCI aims to bring together Asian film critics in order to communicate, to share their professional experiences and opinions on cinema and to discuss the general situation of film criticism in Asia. 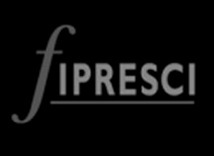 FIPRESCI aims to establish better and closer relations between film critics in Asia and create a tighter network for further collaborations. Asian film-critics had talking about the situation of the effects of Eurocentrism and Orientalism in film criticism.